Today is suddenly spring. The daffodils are out in force. Clara and I dug up all the strawberry plants and built a *real* strawberry bed with raised rows covered in black plastic. Poor Bella doesn't have spring break for another two weeks, and had to go to class, to work (physical therapy clinic), and work on a paper. But her turn will come! Daisy went to 4H, one of her favorite things ever. And I started crocheting a rug out of old sweaters. Wow. Australian springs are not sudden, late winter is the flowering time for many native plants, it's the exotics (and wattle) that flower in spring. Usually spring comes slowly in our temperate climate. Bella's home already? I take it she has started her course? Happy spring to all of you. sighhhh, I need some daffodils in my spring. 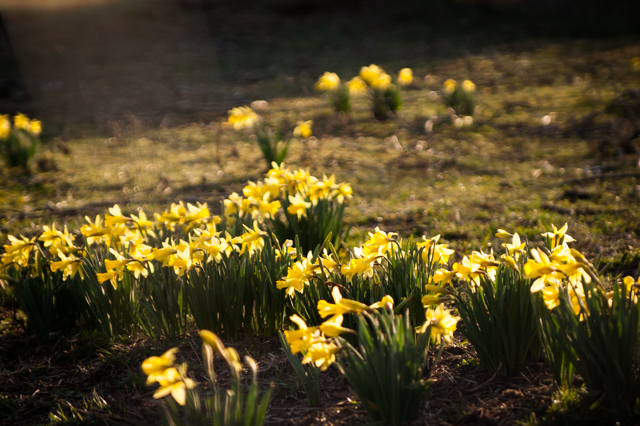 Maybe our spring will suddenly happen, too, in the wake of this very cold, snowy winter. What a treat to see your tulips!! Your photographs are beautiful! What a fun day! So Bella is home from being overseas? Somehow I missed that. I'm green with envy over your garden. So lovely! We are still buried under snow here. But, it is maple syrup season! How strange that our spring is mirroring yours in its sudden appearance. Daffs all over. Gorgeous. So jealous up here in Michigan. Though, we can finally see sad muddy grass peeking out of the snow mounds! 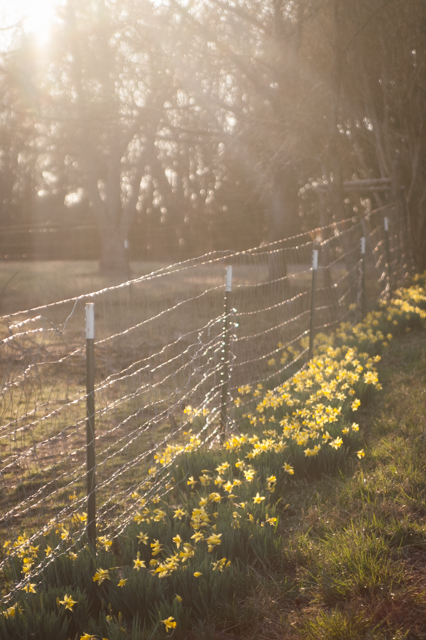 Daffodils are one of my favorites. They were in a carpet of blooms when I gave birth to my firstborn, and I have loved them ever since. I can hardly wait for our daffodils. Each year the daffodils that bloom in our backyard just under the dining room windows are the first to bloom and each year they seem to pop up suddenly. Then the rest of them throughout the yard bloom. Soon I'm hoping but we still have a little snow in shady places. For years, I have been envious of your early daffodils blooming (well, early compared to here in Idaho!). We have had a VERY unusually warm late winter. 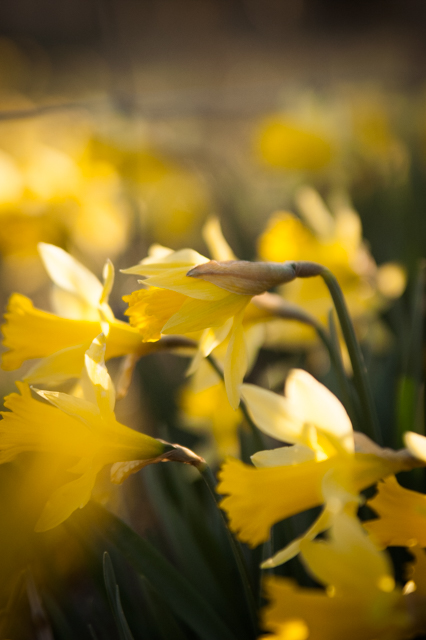 Our daffodils are actually blooming the same time as yours! They usually dont bloom until late April here. I am trying to just relish the early beauty and not think about what this will mean for my fruit trees if we get another frost! What is Daisy doing in 4H? My kids have enjoyed 4H.